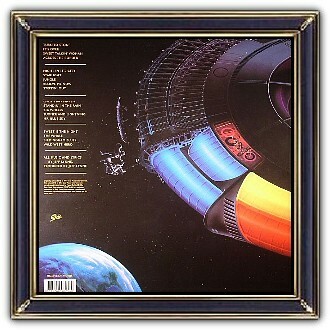 The large spaceship on the album's cover (by now symbolic of the group) was designed by Kosh with art by Shusei Nagaoka. 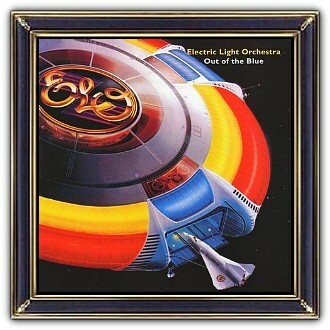 It was based on the logo Kosh designed for ELO's previous album, A New World Record. It looks like the space station with a docking shuttle from 2001: A Space Odyssey (1968). The number JTLA 823 L2 which is featured on the shuttle arriving at the space station is the original catalogue number for the album. The album also included an insert of a cardboard cutout of the space station as well as a fold-out poster of the band members. The space theme was carried onto the live stage in the form of a huge glowing flying saucer stage set, inside which the band performed. 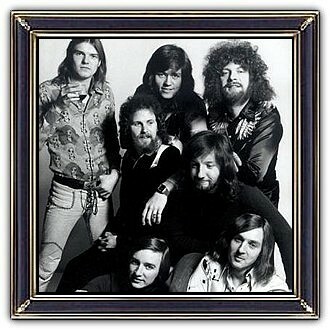 Electric Light Orchestra (ELO) are an British rock group from Birmingham, England. They were formed to accommodate Roy Wood's and Jeff Lynne's desire to create modern rock and pop songs with classical overtones. After Wood's departure following the band's debut record, Lynne wrote and arranged all of the group's original compositions and produced every album. From 1972 to 1986, ELO accumulated twenty Top 20 songs on the UK Singles Chart, and fifteen Top 20 songs on the US Billboard Hot 100. ELO collected 19 CRIA, 21 RIAA and 38 BPI awards and sold over 50 million records worldwide during the group's original 13-year period of active recording and touring. In 2012, Lynne reformed the band under the moniker Jeff Lynne's ELO.